On this episode I am speaking to Max Haot, who is the founder of Launcher, a rocket startup based out of Brooklyn, NY. Launcher was founded in early 2017 and is on a ten-year journey to deliver small satellites to orbit. More specifically, Launcher plans to deliver payloads of up to 300 kg into low-earth orbit cheaper than anyone else in the growing small launcher market; a market specialising on small satellites that will deliver GPS, internet services and earth imaging in the near future. The most difficult part of launching satellites into orbit is building a robust and reliable rocket engine. On top of that, the physics of the rocket equation dictate very stringent constraints on the mass of the rocket and payload. To launch a satellite into low-earth orbit, a typical liquid-oxygen/kerosene rocket is around 95% propellant on the launchpad. So any fuel savings from a more efficient rocket engine can go towards increasing the payload. Launcher has spent the last year working on their proof-of-concept engine, the E-1, and are now in the process of spending the next three years developing the 40x larger E-2 engine. Key to Launcher’s rocket engine is 3D printing and a staged combustion cycle. 3D printing allows for a reduction in parts, faster development times, and easier manufacturing of complex geometries such as integrated cooling channels, which all help to reduce costs. In a staged combustion cycle, a favourite of Soviet rocket engineers, propellant flows through two combustion chambers, a preburner and a main combustion chamber. The pressure produced by igniting a small amount of propellant in the preburner can be used to power the turbo pumps that force the remaining propellant into the main combustion chamber. The addition of the preburner leads to better fuel efficiency, but comes at the cost of greater engineering complexity. One of the things I love about Launcher is that they face this daunting engineering challenge with the utmost humility, documenting many of their failures and successes online for everyone to see. In this way, anyone can get a glimpse of what it means to build a rocket company from scratch. In this episode of the Aerospace Engineering Podcast you will learn: how Max got into the space industry the engineering details behind many aspects of the E-1 engine the advantages of 3D printing and stage combustion and Launcher’s current schedule for developing the full-size E-2 engine If you enjoy the Aerospace Engineering Podcast you can support it by leaving a review on iTunes or by supporting it directly on Patreon, where patrons of the podcast receive exclusive behind-the-scenes content and special episodes. Thanks a lot for listening! This episode is brought to you by AnalySwift. Do you work in the design and analysis of aerospace structures and materials? If so, AnalySwift’s innovative engineering software SwiftComp may be the solution you’re seeking. Used either independently for virtual testing of aerospace composites or as a plugin to power conventional FEA codes, SwiftComp delivers the accuracy of 3D FEA in seconds instead of hours. A general-purpose multiscale modeling program, SwiftComp provides an efficient and accurate tool for modeling aerospace structures and materials featuring anisotropy and heterogeneity. Not only does SwiftComp quickly calculate the complete set of effective properties needed for use in macroscopic structural analysis, it also accurately predicts local stresses and strains in the microstructure for predicting strengths. Find out how others in composites are saving time while improving accuracy, designing earlier in the process, and getting to market more quickly. For a free trial, visit analyswift.com. SwiftComp: Right results. Right away. This episode is also sponsored by StressEbook.com, which is an online hub for you if you are interested in aerospace stress engineering. StressEbook. In this episode I am talking to Lachlan Matchett, who is the VP of Propulsion at Rocket Lab. Rocket Lab is a startup rocket company with the mission of removing barriers to commercial space by frequent launches to low-earth orbit. The current conundrum of many space technology companies that want to launch small satellites into space is that there is no dedicated launch service tailored to their needs. This is where Rocket Lab enters the picture. To provide small payloads with a flexible and dedicated launch vehicle, Rocket Lab has developed the Electron rocket. The Electron is a two-stage rocket that can be tailored to unique orbital requirements and provides frequent flight opportunities at personalised schedules. In terms of the engineering, there are many interesting features to the Electron rocket, but one of the key innovations is the Rutherford engine that Lachlan Matchett and his team have developed over the last five years. Rutherford is the first oxygen/kerosene-powered engine to use 3D printing for all primary components. In fact, the Rutherford engine can be printed in an astounding 24 hrs, and this is one of the driving factors behind Rocket Lab's cost efficiency and high target launch frequency. So in this episode, Lachlan and I talk about: Rocket Lab's business model their recent launch success in Jan 2018 some of the engineering highlights of the Rutherford engine and Rocket Lab's plans for the future I hope that you enjoy this conversation as much as I did. If you enjoy the Aerospace Engineering Podcast you can support it by leaving a review on iTunes or by becoming a patron. Also, as of this writing Rocket Lab is hiring, so make sure to check out their careers page. You can tune into Rocket Lab's future launches by following Rocket Lab on Twitter. What have you learned from this episode? Let me know on Twitter by clicking here. 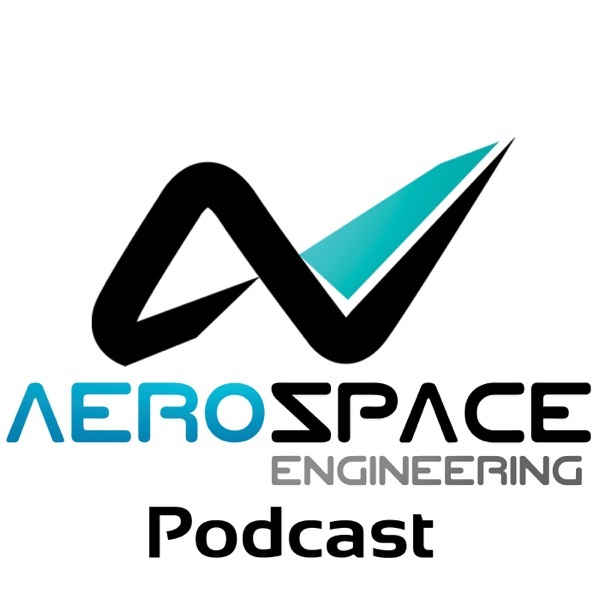 This episode of the Aerospace Engineering Podcast is sponsored by SAMPE North America. SAMPE is a global professional society that has been providing educational opportunities on advanced materials for more than 70 years. SAMPE’s network of engineers is a key facilitator for the advancement of aerospace engineering by enabling information exchange and synergies between aerospace companies. To find out how SAMPE can help you learn more about advanced materials and processes, consider attending the SAMPE 2018 Technical Conference and Expo in Long Beach, California. Selected Links from the Episode Rocket Lab Electron rocket Rutherford Engine Careers at Rocket Lab Rocket Lab on Twitter Follow the Humanity Star Lachlan Matchett wins Young Engineer of the Year Jan 2018 launch "Still Testing" (launch video countdown at 14:50) Rocket Lab's upcoming launch "It's Business Time"
I am happy and excited to announce a new project on the Aerospace Engineering Blog. To go along with the usual blog posts, I will now be releasing regular podcast episodes that feature conversations with engineers and researchers in industry and academia to reveal their fascinating real-world stories of innovation, and provide a glimpse into the future of the industry by discussing cutting-edge research and promising new technologies. This episode is just a quick primer of what I have in mind, and the first "real" episode will be released in a couple of days. If you have comments about the episodes or want to provide general feedback on the podcast, then please let me know on Facebook. If you find yourself enjoying the conversations, then I would appreciate a quick review on iTunes or Stitcher. This helps others find the podcast online. I will of course be publishing all episodes through this homepage as well, and you will receive notifications when I publish new episodes through the newsletter. You will be able to find archives of all published episodes here, and each episode post will contain show notes with links to further material of the topics discussed. If you enjoy the Aerospace Engineering Podcast you can support it by leaving a review on iTunes or by becoming a patron.